Prototype: German State Railroad (DR) class 58.10-21 (former Prussian G 12) freight steam locomotive. With Reichsbahn lanterns and type 3T 20 tender. Road number 58 1287. The locomotive looks as it did around 1962. 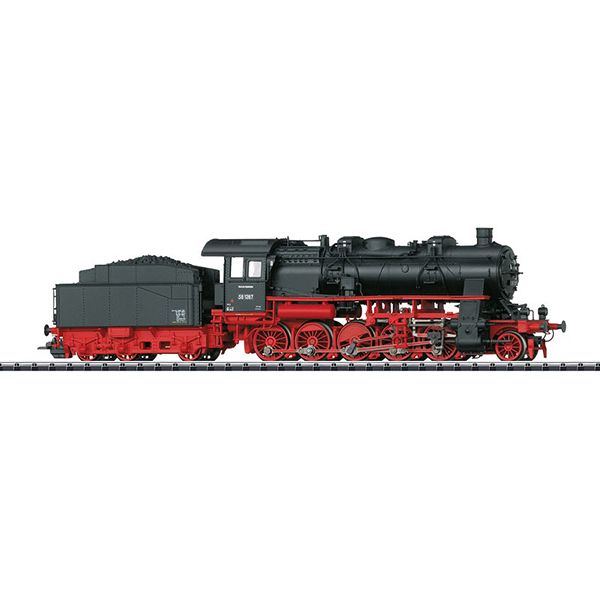 A freight car set to go with this locomotive can be found in the TRIX H0 assortment under item number 24128.